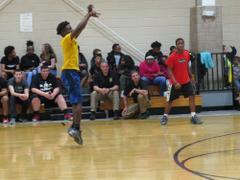 Moore County Sheriff's Office deputies along with other Law Enforcement Professionals participate in Boys and Girls Club basketball game. Moore County Sheriff's Office deputies along with other Law Enforcement Professionals participate in Boys and Girls Club annual basketball game. 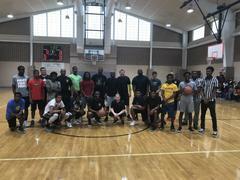 For the third year in a row, deputies, officers and our one of our Assistant District Attorneys (ADA) played a friendly game of basketball against young athletes on the Southern Pines Boys and Girls Club basketball court. Sheriff’s Office, Law Enforcement, ADA and kids of all ages, watched as the Law Enforcement family compete against the Boys and Girls Club youth team. Participating agencies were: Moore County Sheriff’s Office, Pinehurst Police Department, Southern Pines Police Department, Aberdeen Police Department, Probation and the District Attorney’s Office. The victor in this friendly competition went to the Boys and Girls Club youth Team!